Within weeks of Sept. 11, 2001, there was an announcement by CDC officials that old stockpiles of smallpox vaccine would be diluted to make enough doses to vaccinate millions of Americans in case terrorists used weaponized smallpox to attack the U.S. population. Public health and Department of Defense officials did not explain (1) how the terrorists could have stolen the smallpox virus from one of the two maximum security laboratories in the U.S.or Russia; (2) why terrorists would have the technical expertise and special lab facilities to culture and maintain the viability of the virus; (3) how they could transport the virus in liquid or powder form without destroying its effectiveness; or (4) how they acquired the sophisticated and expensive technology to deliver weaponized smallpox to large numbers of people. 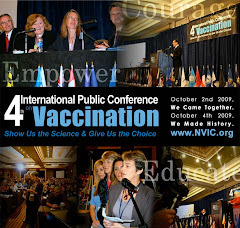 What public health and DOD officials did know post 9-11 is that (1) the old live vaccinia virus vaccine for smallpox was never tested for safety in controlled clinical trials before it was used on a mass basis (2) 1 in 4,000 vacinees suffer severe reactions; (3) those recently vaccinated become infected with vaccinia virus and can transmit the vaccine virus to close contacts, leading to injury and death for some;(4) the most deadly side effects of smallpox vaccination are progressive vaccinia (disintegration of the flesh, internal organs and bones causing death within 6 months); encephalitis/encephalomyelitis (brain inflammation within 25 days after vaccination causing permanent brain damage); eczema vaccinatum (high fever, swollen lymph nodes, inflammation and skin lesions, especially in persons with a history of eczema) or generalized vaccinia (smallpox-like total body rash). The DOD continues to push the highly reactive smallpox vaccine, as well as the highly reactive anthrax vaccine, on U.S. soldiers without their informed consent while failing to provided any evidence to the American public that weaponized smallpox or anthrax is possessed by any terrorist group with the expertise and means to successfully unleash those weaponized organisms on anyone. Tens of thousands of soldiers have suffered smallpox and anthrax vaccine reactions and tens of hundreds have suffered permanent brain and immune system dysfunction or have died. 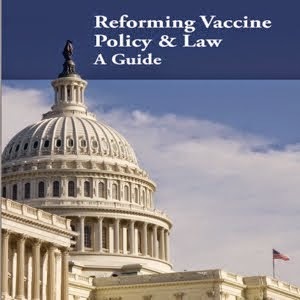 The tragic consequences of one-size-fits-all forced vaccination policies in both military and civilian life is that nobody is held accountable when casualties occur. The human casualties are written off as expendable in the name of the greater good, even when the greater good is nowhere to be found.